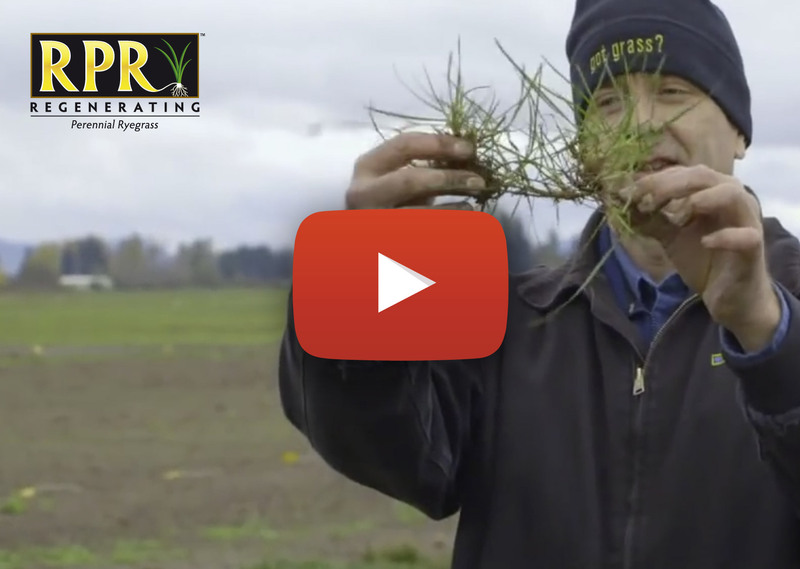 RPR - Regenerating Perennial Ryegrass is the first perennial ryegrass having the specific characteristic of spreading horizontally via determinate stolons. In the past, only smooth-stalked meadow grass grew this way in sports pitches. This characteristic makes RPR many times stronger than other types of perennial ryegrass, while also growing at the same rate. And the result is a regenerating perennial ryegrass with the highest wear tolerance that is perfect for use in sports pitches. A good pitch is the be all and end all of any professional sports centre. And our pitches are of top quality thanks to our good cooperation with Barenbrug, their expertise and their RPR grass seed. I’m amazed so see RPR growing well under these extremely difficult conditions. RPR marks the rebirth of a subspecies of grass variety. In the United States, Lolium Perenne Stoloniferum, the subspecies to which RPR belongs, has not been observed since 1836. RPR is the first variety of perennial ryegrass growing via determinate stolons to have been officially registered in the US as Lolium Perenne Stoloniferum since that date. Perennial ryegrass had been used for sports pitches and golf courses for quite some time, but RPR is an innovative novelty that Barenbrug introduced in the United States in 2010. There, the grass mixture was immediately found to be extremely suitable for sports pitches. In the US, Barenbrug’s RPR was granted an Innovation Award at the STMA (SportsTurf Managers Association) Show of 2011. In Europe, RPR was introduced in the Netherlands in 2012. Other countries were soon to follow: Belgium, Germany, Denmark, Sweden, the Czech Republic, Poland, Italy and Rumania. The RPR grass for sports pitches, golf courses and public green spaces was also nominated for the Gouden Klavertje Vier innovation award of 2013 and the SportFM innovation award of 2015. RPR spreads horizontally by creating a natural network of determinate stolons that form a kind of netting in the sward, making for the best possible wear tolerance. Instead of individual grass plants, as in the case of traditional perennial ryegrass, each RPR grass plant is linked to other plants and to the soil. There is much less risk of the grass of sports pitches being kicked up or otherwise damaged because it is held in place on all sides, even during the most intensive use. So however intensive the circumstances of a football match or golf tournament may be, the dense sward will remain intact. We can proudly say that we have had the best pitch of the first division for three years in a run. This success is the result of passion, pleasure and performance, and we owe it all to our use of RPR. RPR is the first type of grass to combine strength and speed, so all the benefits of the grass mixture can be enjoyed at the same time. The grass germinates very quickly and is ready for intensive use as soon as it has created a dense sward. The strong grass species that were often used in the past, such as smooth-stalked meadow grass, germinate more slowly, and were therefore often combined with a faster perennial ryegrass. The resultant mixtures germinate and establish very quickly, but their wear tolerance leaves something to be desired. RPR solves this problem by combining strength with speed, in other words: the best of two worlds. RPR is as strong as smooth-stalked meadow grass, but establishes much faster, greatly reducing the risk of the ingression of undesired annual meadow grass. This implies the advantage of a denser, better rooting sward that needs less fertilisers and water. RPR’s determinate stolons create a very dense sward in which weeds and undesired grasses will have great difficulty growing. The strong, fast growing RPR will win the battle against the weeds and undesired grasses. Annual meadow grass may appear attractively green, but it can completely destroy a sward. Once it has become established, there’s no getting rid of it. RPR emerges victorious from the battle against annual meadow grass. Perennial ryegrass is often used for sports pitches that are expected to endure heavy wear. But the swards of those pitches are also expected to be of excellent quality for every game. That can only be achieved with grass that’s as strong as iron and that can regenerate quickly. Perennial ryegrass is a good option, but RPR is even better. RPR guarantees superfast recovery and an extremely strong sward. Click here for more information on using RPR for sports pitches. A high wear tolerance, little risk of damage and superfast recovery of the grass are important criteria for golf courses. Barenbrug’s extremely strong RPR mixtures are ideal for golf courses. There are two RPR mixtures that can be perfectly used for golf courses: Bar Extreme RPR for overseeding and Bar Intensive RPR for seeding and overseeding. Click here for more information on using RPR for golf courses. Bar Power RPR is an extremely strong mixture that is specially intended for lawns. It will thrive in many types of soil, making it very easy to use. Bar Power RPR is ideal for use in gardens, parks and pitches of neighbourhood football clubs. It was specially developed for professional gardeners, who will greatly appreciate this mixture’s many advantages. One of those advantages is that it is suitable for both seeding and overseeding, so there’s no longer any need to buy separate mixtures for that. Seeding and constant overseeding with Bar Power RPR will ensure a beautiful lawn that can tolerate a lot of wear and tear. Click here for more information on using RPR for lawns.